What do Spartans do? Well, they don’t do anything anymore. But, what did they used to do? Well, they used to go to war and fight in huge battles. There’s some kind of connection there between it and online casino gaming, although we’re not quite sure what it is. In any event, Spartan Slots brings forth another casino that rests very nicely on the Deckmedia N.V. network of platforms. It’s decked out in a deep red colour, which brings a refreshing change to the screen considering many online platforms tend to stick with white or black. The casino also holds a gambling licence from the government of Curaçao, so you’ll get nothing but fair and secure gameplay while playing there. The game lobby at Spartan Slots is available as both a downloadable offering or in instant play mode. 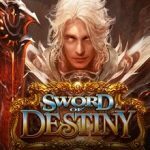 As far as the games themselves go, these come from a small group of developers, including both Betsoft and Rival. Joining them are titles from Pragmatic Play and Parlay. This means that the lobby is fairly full and able to provide a truly inviting experience for gamers. Additionally, there’s an easy-to-use navigation menu down the left-hand side of the screen that you’re able to utilise to get around. You’ll find that slot games are the first order of business at Spartan Slots, with both video and classic offerings on hand. This means that you’re able to choose from such titles as Stampede, Sugar Pop 2, Three Times the Riches, Fruit Slot 1 Line and True Illusions. Furthermore, there are various progressive jackpot games within the slot sections too. 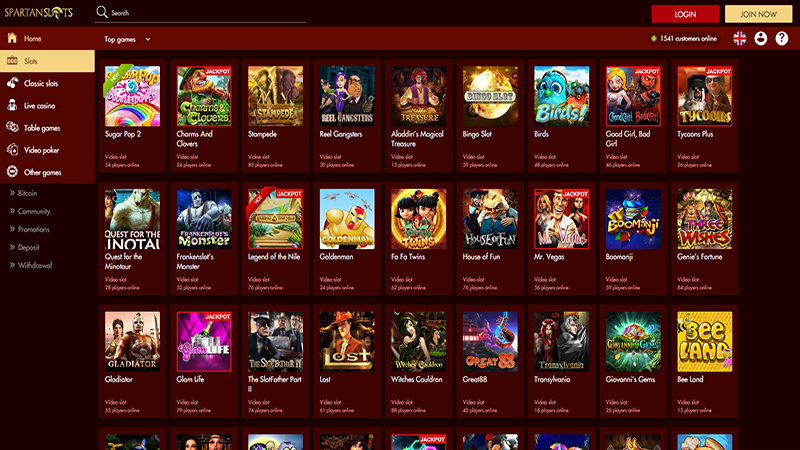 Therefore, you can try to win huge amounts on games like Legend of the Nile and Mr. Vegas. As well as the myriad of slots that this casino offers up, it also has a nice selection of table games available. The category holding these games allows you to access such options as Crystal Roulette, European Blackjack, Pontoon and Super 7 Blackjack. 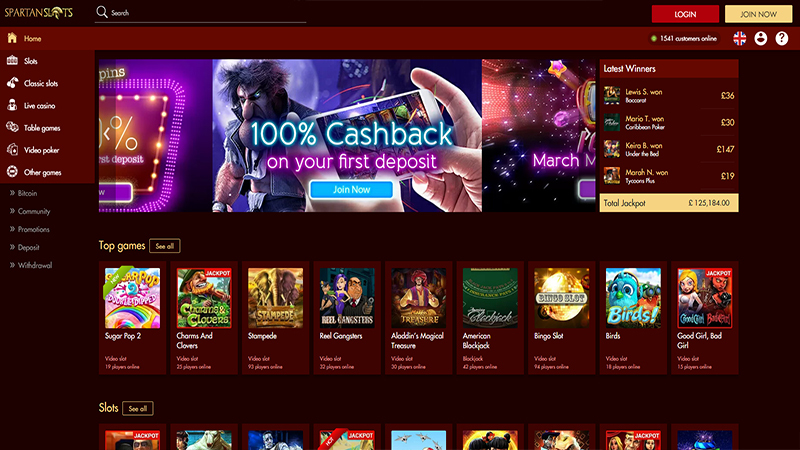 However, Spartan Slots also incorporates a ‘Live Casino’ category as well. There are 11 different games available within this section, including live dealer versions of baccarat and Spanish Roulette. The final categories incorporate video poker games and scratch cards. To welcome newcomers to the Spartan Slots casino, there is a welcome offer on hand for you to claim. In order to receive such, you need to complete your registration first. Straight after this, you’ll be given a total of 25 freespins to use and enjoy. Then, when it’s time for you to begin depositing, you’ll get a bonus on top. In fact, the casino gives you a bonus on top of your first five deposits there! There’s 200% available on top of your initial deposit, while the next three come with a bonus of 100% on top. The fifth deposit that makes up this welcome offer provides you with a bonus of 175% on top. Loyal players of Spartan Slots will also get their fair share of special offers to benefit from too. In fact, every day of the week comes with its own special offer for you to get in on. For example, there’s High-Stakes Thursday. This gives you varying bonus amounts depending upon the amount that you deposit on this day. Or there’s Super Saturday. This enables you to claim a bonus of 50% or more, again depending upon the amount that you deposit. Additionally, there’s a VIP Club available to become a member of at the casino. This gives you access to extra special perks, including your own personal account manager. As far as funding your Spartan Slots casino account goes, you can do this by using one of a few different accepted payment methods. If you don’t have issues with using a credit or debit card online, then the casino accepts deposits made by Visa and MasterCard. Alternatively, you can utilise Bitcoin if you hold such. ecoPayz and UPayCard deposits are also available to make at Spartan Slots. Withdrawals, on the other hand, can only be processed via Paper Check, eCheck or Bank Wire Transfer. The casino has a FAQ section for you to browse through if you should ever need help. However, if you can’t find the answers that you need there, then you can contact the support team. They are available through Live Chat or email on a 24/7 basis. Spartan Slots is a nicely designed and well-run online casino. Furthermore, it has a great choice of games to play in its lobby, whilst also catering to those players who enjoy claiming bonuses and rewards. Along with the 24/7 customer support and banking options, it’s a very well-rounded online platform. Play at Spartan Slots Casino. USA Players Welcome!